Recovery has become one of the foundations of training. By including appropriate recovery techniques at the correct times in a training programme, cyclists can aid in the balance between training, stress and fatigue. Too much training without enough recovery can lead to excessive fatigue, poor performance and overtraining syndrome (OTS). Utilising good recovery techniques may help reduce the risk of illness and injury, in turn improving performance. As many cyclists are riding greater volumes at higher intensities than ever before, including recovery in a training programme has become increasingly common. Athletes use a number of popular methods to enhance their recovery. One of the most effective ways of minimising fatigue and ensuring performance is not comprised is by getting a good night’s sleep. An appropriate quality and quantity of sleep can help reduce the risk of developing OTS. A small number of studies have investigated the effects of sleep deprivation on exercise performance. Research has shown evidence of decreased performance after partial sleep deprivation. Sustained exercise seems to be more affected than single maximal efforts, therefore longer submaximal exercise tasks may be affected following sleep deprivation (Reilly and Edwards 2007). Time-trial and stage-race performance may be more affected than one-off sprint efforts, for example. From what we know about poor sleep and performance, sleep deprivation doesn’t appear to have any effect on pacing, cardiorespiratory or thermoregulatory function. However, following sleep deprivation the perception of effort is usually greater. Essentially, no real effect on physiology occurs, but it’s likely that you might think exercise is harder after sleep deprivation compared to after having had a good night’s sleep. For several athletes, their training and competition schedules can prevent them getting enough sleep at night. In these instances, athletes can catch up on sleep and get the associated recovery benefits by napping throughout the day (Halson, 2013). Although there hasn’t been as much research into the use of napping by athletes, evidence has shown that it can improve sprint and alertness (Waterhouse et al. 2007). To coincide with a dip in the circadian biological clock, napping should ideally be performed in the early afternoon. 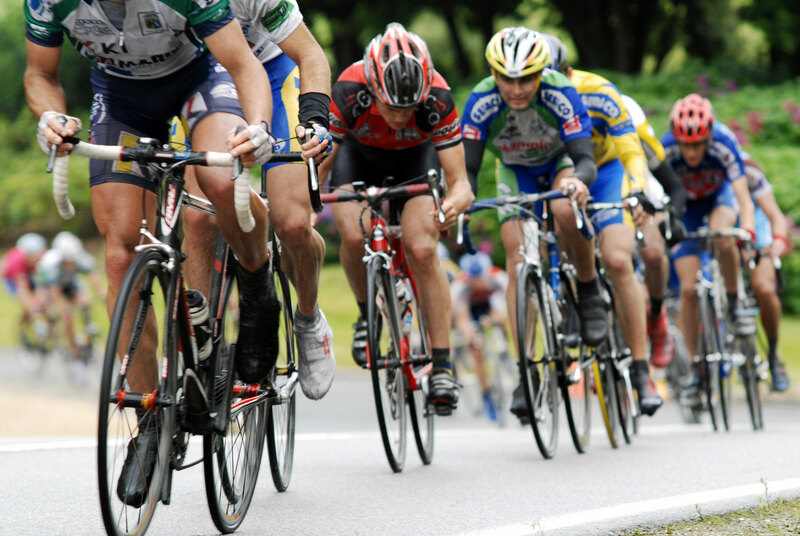 Used widely in sports recovery, massage is often used by cyclists during stage races. This recovery strategy is thought to increase blood flow, therefore improving recovery with the clearance of metabolic waste. However, the majority of research has found no increase in blood flow or lactate removal during massages. Despite this, recent evidence has suggested that massage may aid in reducing muscle soreness and be effective for aiding the repair of damaged or injured muscles (Shroeder and Best, 2015). Generally considered to more effective than no recovery (passive rest) massage is still thought to be less effective than active recovery (warm down). In general, massage is thought to be more beneficial in improving psychological aspects of recovery than in improving functional performance. Massage may have potential benefits for injury prevention and management. Although not to be used for immediate recovery, it’s still important that massage is incorporated into a training programme. The type of massage depends on the timing, relative to training and competition. For example, light massage such as Swedish massage is preferred in the few days before and immediately after hard exercise to relax the muscles and fascia. Whereas in contrast, deep-tissue massage is generally avoided during this time because it may cause some residual soreness that can affect performance or compromise recovery acutely following exercise. In recent years the effectiveness of CWI, HWI and CWT have been well documented. Most studies that have directly compared the different forms of water immersion have reported that CWI and CWT enhance recovery more than HWI and pool recovery when used following cycling (Vaile et al. 2008a; Crampton et al. 2013). When using CWI, cyclists should first complete a cool-down. Then, aim to immerse in water of 10-15°C for 10-15 minutes to get maximal recovery benefits. It’s not recommended to use colder temperatures as they may result in a reduction in immersion duration due to discomfort. Also, colder temperatures have not shown the same benefits. For maximal benefits, cyclists are encouraged to immerse in the water to shoulder level, even though it predominantly involves lower-body muscle contractions. CWT involves alternating regularly between cold (10-15°C) and hot (36-40°C) water. Cyclists should spend equal or more time in the cold water than in the hot to promote recovery benefits. The cold-water component of CWT is likely to provide most of the benefits. It’s therefore recommended that CWT should be finished in cold water. When intending to exercise within 45 minutes after CWT, athletes should finish in the hot water to prevent being too cold for the subsequent exercise. For more information on CWI and its benefits check out our post from February, Could you benefit from cold-water immersion? Active recovery usually consists of low-intensity, aerobic exercise. This recovery strategy is considered better than passive recovery because of enhanced blood flow. Plus, the effective clearance of lactic acid and other metabolic waste products. The findings differ on the effect of an active recovery in cycling between training sessions or following competition. However, nothing has been reported to suggest that an athlete’s performance is affected following active recovery between training sessions. A few studies have even suggested active recovery can enhance performance (Taoutaou et al. 1996; Barnett, 2006). Although research into the benefits of active recovery beyond lactate removal is minimal, the role of active recovery in reducing muscle soreness after exercise may be an important factor for athletes. One of the most common forms of recovery in cycling is in fact, active recovery. Typically performed post-exercise, static stretching involves holding the stretch for 30 seconds or more and repeating it a number of times. Despite the widespread use of post-exercise stretching, little evidence exists to support its ability to assist performance recovery or decrease injury risk, particularly in cycling. The European College of Sports Science (ECSS) released a position statement on the role of stretching exercise in sport (Magnusson and Renstrom 2006). It said passive static stretching relaxes the muscles, but the effect lasts only minutes before disappearing. Therefore, suggesting that it has little effect on recovery or reducing injury risk. The researchers also reported that pre-exercise stretching does not reduce injury risk. Generally, the evidence is insufficient to support the notion that post-exercise stretching enhances recovery in cycling or reduces the risk of injury. The reported findings regarding the efficacy of stretching as recovery technique are mixed. Despite this post-exercise stretching has not been associated with any detrimental effects on performance. Stretching can improve flexibility and range of motion. Both abilities may help with the maintenance of riding position and the management of an existing injury. This suggested routine stretching may be appropriate for some cyclists. Medical equipment and therapies are used a lot in the recovery of elite athletes. Compression clothing is one of those strategies. Lymphatic and circulatory conditions are traditionally treated with compression garments. It’s thought these garments improve return of blood to the heart through the application of graduated compression to the limbs from the ankle up. The external pressure created can reduce swelling, inflammation and muscle soreness. There hasn’t been much research directly investigating the effects in cycling, but one study reported increased performance during 30 minutes of high-intensity cycling in well-trained cyclists (Driller and Halson 2013). From a specific recovery perspective, compression has shown to improve performance between two 40K time trials performed 24 hours apart (de Glanville and Hamlin 2012). Many riders may find these impractical and uncomfortable as they are worn for the full 24 hours. Compression has also been shown to improve sprint performance with a shorter recovery period (Argus et al. 2013). When using compression for 20 minutes between sprints maximal sprint performance was enhanced. Although only minimal research has been done on compression garments and recovery in cycling, the small amount of data suggests that compression may be beneficial and is not harmful in any way. To maximise the recovery process compression garments should be worn for at least 60 minutes after training. Recovery research in cycling is a relatively new area. Because of this cyclists should experiment with a variety of strategies and approaches to identify the best recovery options for them. It’s well known that optimal recovery from training and racing can provide numerous benefits for cycling performance. Strategies such as hydrotherapy, low-intensity active recovery, massage and compression garments may have merit as recovery-enhancing strategies. Incorporating these into a training routine can help reduce fatigue and ultimately increase cycling performance. These techniques for recovery in cycling were taken from the new title Cycling Science. The guide boasts contributions from 43 of the world’s top cycling scientists, making it most advanced resource on the subject. As well as recovery techniques, the book provides the latest advances in cycling science and technology. Plus, its application to training and competition. You can buy the book from humankinetics.com for £22.99.